As a noticeable company, we are trading an extensive variety of Tooth Point Adapter. All our adapters are developed by technical staff of manufacturer unit using high-grade raw material and up-to-date technology. Our adapters are widely admired by all our buyers for their wide applications in cement manufacturing firms. Being perfectly shaped and swift movement of our organization, we are instrumental in offering Tooth Adaptor. 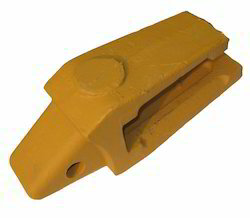 Think about all the different teeth and adapters CAT 320 used on backhoes, excavators, loaders, scrapers, and Motor graders, So many different application to accommodates, so many different ground conditions to consider, It takes an incredible variety to keep so many machines productive. Company has just that selection for you. 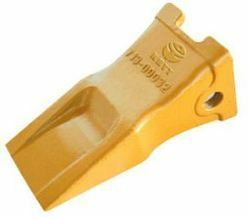 We are leading Wholesalers & Traders of Excavator Tooth Adaptors. Being a well-distinguished company in the market, we are into offering Tooth Adapter. Imported tooth points & Adapters available for Komatsu, Hitachi, Hyundai, JCB, Kobelco, CAT, Volvo and all other leading brands for all models (60, 70, 100, 110, 200, 300). Bucket teeth frequently breaks away from the shank and ends up lost or damaged. This is a heavy duty industrial grade assembly. These bucket teeth are excellent for bucket replacement teeth or even build your own tooth bar.